Hey there and happy Tuesday! 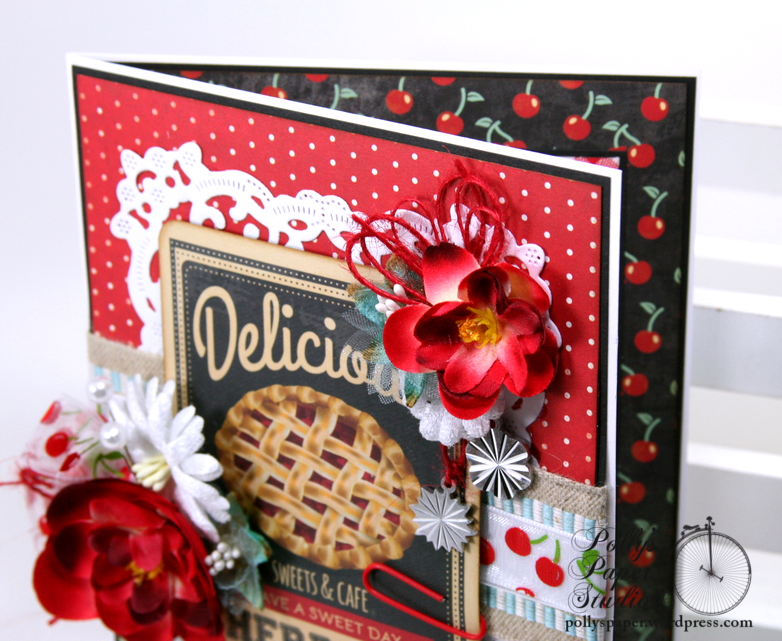 I’ve got a fun project share today using the Cabin Fever collection from Simple Stories. Many of you know that we have a vintage 1966 Banner camper that we remodeled with all the fun retro accents like a checkered floor and chrome and aqua color scheme. We decided this year to get a larger camper to be more comfortable on our family adventures. This is happy and sad because I really did love our little camper but the new one has a lovely kitchen and fireplace and and a crafting area. This card makes me all kinds of happy. It has a camper and plaid and wood grain. What could be more funner than that? I’ve never seen a camper in real life that was plaid on the bottom….but now that I see it in this cute cut apart….I think they should make them for reals. Keeping with the retro color scheme I chose flowers in aqua and white. There’s a little loopy bow and twine tucked in to fill in this arrangement. The banner shape is cut from the journal card that had a reservation form and is layered over a second card that I used to fussy cut an image for another project…..want not waste not. I added a little clip detail here as well. What else but vintage buttons would work for a retro camper card? The die cut doily helps to break up the dark colors and make the camper image the focal point. Aqua colored sequins are the finishing touch. Spacers between the layers add loads of depth to this card. 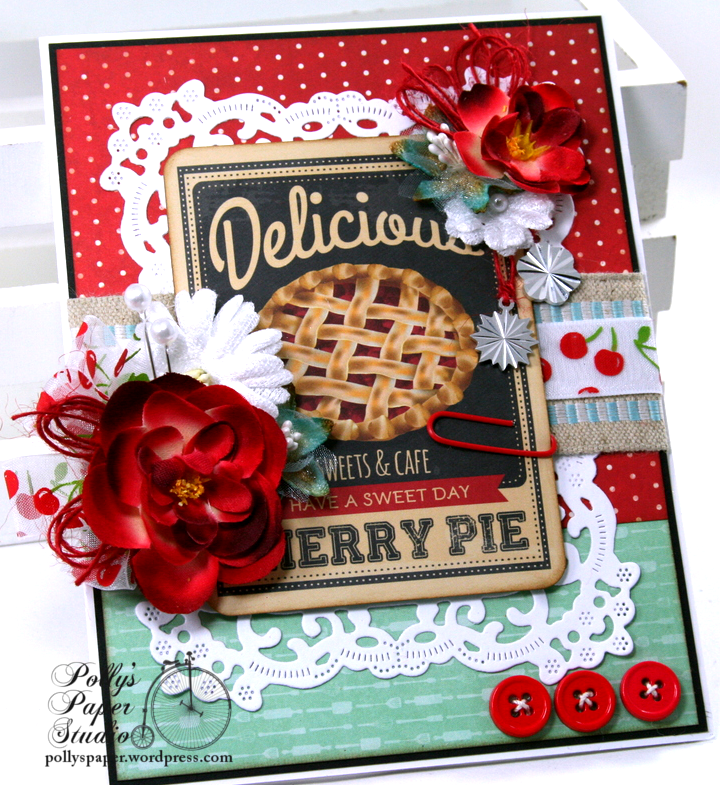 OMGosh Peeps I am super excited today to be sharing the new Retro Valentine Deluxe Creativity Kit 2018. You all know how much I love to create kits and to take one for myself to make projects with. What makes this kit deluxe? It’s got all the fabulous papers and images and bows you’re all used to seeing in the kits created by Polly’s Paper Studio….and it also has loads of extra fun holiday embellies like doilies, tinsel, ric rac, flowers, clothespins, brad, bling strip, and red glittery die cut hearts : ) I am practically giddy. Here are the projects I created with the kit and a few bits and pieces from my stash….. I had so much fun creating these 6 projects and I have loads of supplies left from the kit to make at least 2 more. Please enjoy this video I’ve prepared for the Hey Sugar Valentine Tag…. Okay here’s a link to the Retro Valentine Deluxe Creativity Kit 2018 . Hey there all my favorite peeps! I’m sharing a card today with the cutest cheeky sentiment. I mean it’s Christmas time lets have a little fun right? Santa in a onsie is pretty much the most holiday thing don’t ya think? I’m using very traditional colors here but mixing it up with a whimsical focal image. I think my girl Martie would approve. shout out to Martie whoop whoop!!!! Pretty holiday inspired flowers with ribbon and twine…..swooning. Really Reasonable Ribbon~ Satin with Gold Edge in Forest, Ivory Burlap String, Red Tea Rose, Red Open Rose. Hey there everyone! By ( very) popular demand I’ve added another Retro Christmas 2017Deluxe Creativity Kit to the shop. The first one sold out pretty quickly and sadly there was not enough to go around. I’m more than happy to oblige. 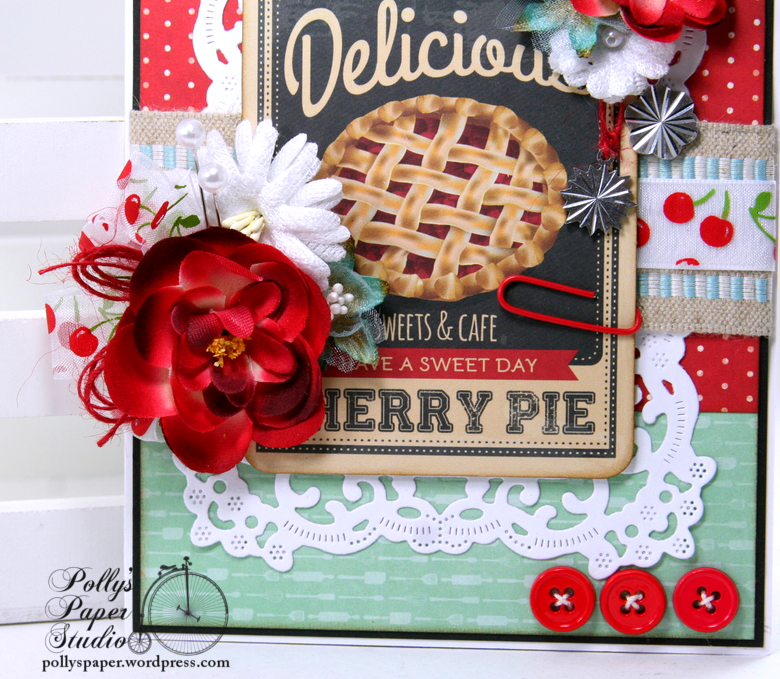 This kit has new images and patterned papers from the previous kit and loads of fun embellies like jingle bells, twine, snowflakes, red tinsel trim, and pearly accents. 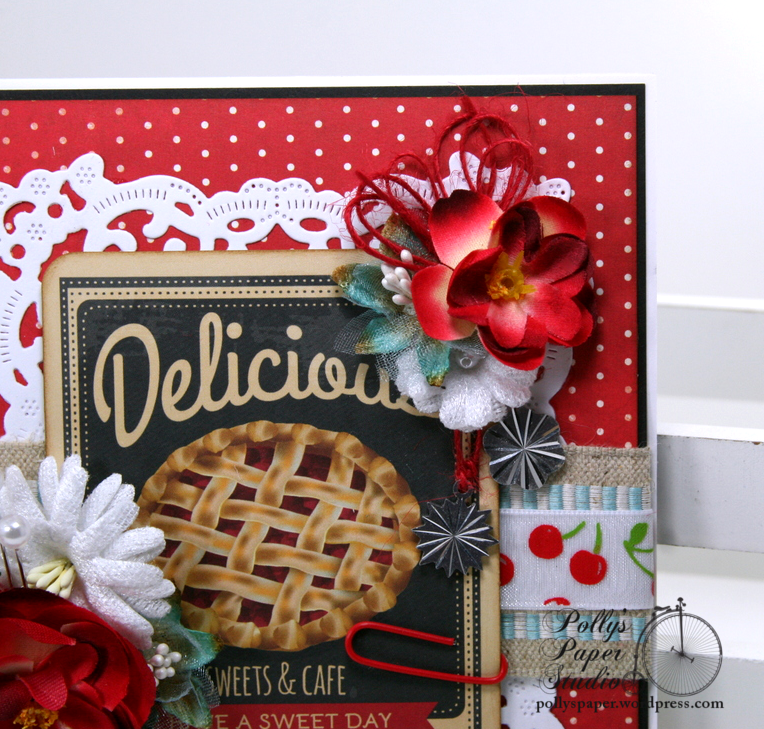 Here are the projects I created with the kit…. 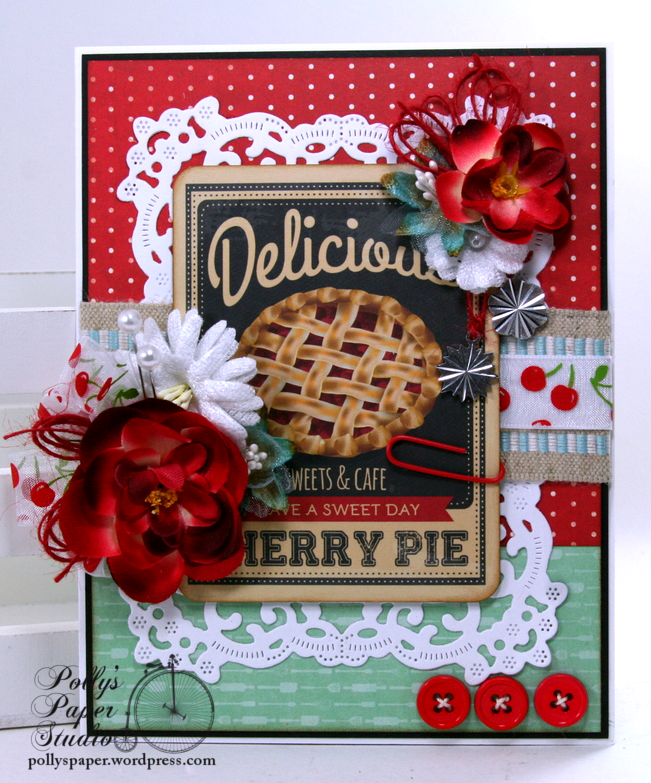 Here’s a link to the Retro Christmas 2017 Deluxe Creativity Kit so you can check out all the details for this fun and festive kit. The poinsettia flowers were all handmade. Additional Trims and flowers from Really reasonable Ribbon. HoHoHo Peeps! Yes I’m sharing more fun and festive Christmas in July projects. And this time a Creativity Kit. Because I am obsessed with kits. I just love to open the package and sort out all the fabulous paper pretties and embellies. Of course I took one for myself because I’m a cheeky little elf lol. See what I did there? Okay too much holiday humor. I put myself in the mindset of CAS cards this time and didn’t go overboard with all the extras on the finished projects. In fact…this time I only added cardstock to what was already included in the kit. So you could make these cards too…just as they are shown. Quick to create and easy to mail. And I was able to get 10 A2 sized cards from this kit. Naturally I added paper doilies, colorful clips, star shaped sequins, twine , and flowers to the kit so you can play with them too. Of course you can go overboard and incorporate some jingle bells and snowflakes and chippies….but they look pretty great just as they are!